When the show premiered in 1990 (after Jim’s passing), there was great interest in the fact that Jim’s son was continuing in the business. On a morning talk show, Brian noted, “My father was always a guiding hand, a guiding influence.” Clearly, Brian paid close attention. Directing came naturally, and Brian won a Daytime Emmy Award for Outstanding Directing in a Children’s Series on Mother Goose Stories. 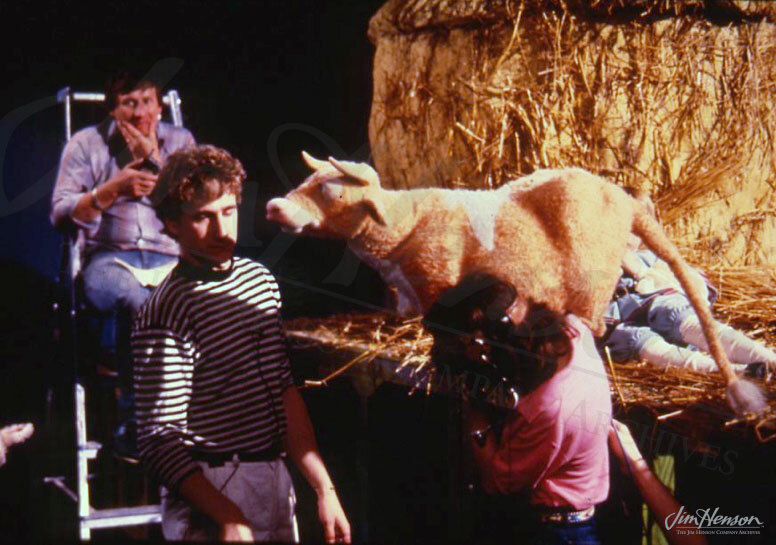 See Brian Henson at work on the “Little Jack Horner” episode of Mother Goose Stories. Learn more about Jim Henson’s Mother Goose Stories. 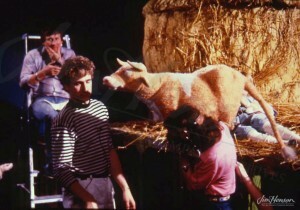 Brian Henson directing Mother Goose Stories, 1988. This entry was posted in 05-May '88, 1988, Mother Goose Stories and tagged Brian Henson, L. Frank Baum, Mother Goose in Prose, Roberta Kurtz. Bookmark the permalink.